Get 6% Back to Spend on Any Groupon Deal! Never miss a great Under Armour coupon and get our best coupons every week! Click through to see the latest Under Armour promos and offers. Try the new ArmourBox today and save on all the UA gear you love! Get 4-6 items picked just for you and delivered to your door, then try it all on and keep what you want. Keep it all and save 20% off your order! See site for details. 100s of new items added to Under Armour’s Outlet Sale. Hurry, sale ends soon! Hurry before this coupon graduates. Click now to unlock this Under Armour coupon! Save on men's and women's training and running shoes by shopping the Under Armour outlet. No coupon code needed, discounts are listed on Under Armour's site. Under Armour supports our troops! Get 10% off for military and first responders! Don't miss out on this Under Armour coupon. Stock up on underwear at Under Armour and save! Right now buy any three UA Original Series Boxerjock for only $50 (normally up to $25 each)! No promo code required, see site for details. With Under Armour's End of Season sale, find savings on HeatGear boxers, Armour fleece, and much more. Get ready for the season and save 25% with this Under Armour coupon. Shop boxers, briefs, and Cupron boxerjocks with this Under Armour sale. Visit Under Armour today and pick up NFL combine gear for your favorite team to get ready for the season! Find shirts, shorts, sweats, and more! See site for details. Get free shipping on your first order when you sign up for Under Armour emails. You'll also get the latest UA innovations, gear, and exclusive offers. Shop the Under Armour Studio collection, and find yoga gear for as little as $9.99. Stay warm this winter by shopping at Under Armour! Click through to shop ColdGear for under $50! Click through to learn more about Under Armour's Athlete Recovery Sleepwear. Looking to save on your favorite Under Armour gear? Check out the outlet section on the website to find discounts on tons of items! Click through now to get started. Batter up with this Under Armour coupon! Work out and save in comfort with this Under Armour coupon. Under Armour has fantastic offers. Right now, save on Limited Time: 3 For $50 Men's Original Series Boxerjock Offer ends soon! Visit Under Armour today and shop the Icon Collection to customize your gear! Select images, patterns, prints, and more to make a unique style all your own! See site for details. 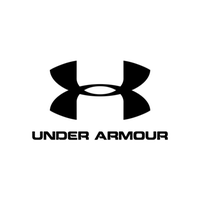 Under Armour was founded in 1996 when Kevin Plank, a former University of Maryland football player, set out to create a better athletic shirt for keeping athletes cool, dry, and light in warm weather. While working in his grandmother's basement in Washington DC, Plank designed his first Under Armour HeatGear T-shirt using moisture-wicking synthetic fibers. He then set off along the East Coast selling the product out of his car and generated $17,000 in sales by then end of the year. Since these humble beginnings, Under Armour has expanded its product line to include clothing for all types of weather and sports and is one of the most recognized brands in athletic apparel today. If you're still not convinced that Under Armour is for you, just take a look at the endorsements from company partnerships with sports icons. From college to the pros, Under Armour is the official sponsor of many top athletes and programs. Current partners include Stephen Curry, Jordan Spieth, Tom Brady, Bryce Harper, and dozen of college football programs. If you want to train like the pros, then check out all the gear that Under Armour has to offer. What Can You Find At Under Armour? Under Armour has something for every athlete, no matter what sport they play. From football and basketball to golf and swimming, Under Armour offers garments to wick away sweat, kept torsos cool, and support muscles thanks to its second-skin-like fit and stretchy fabric. You'll often find sales on specific collections to help make your gear more affordable. For athletes looking for more than just shirts and shorts, Under Armour also offers shoes and accessories, including hats, headbands, sunglasses, and much, much more! No matter where you live, Under Armour has gear designed to fit the weather you'll be encountering. Hot or cold, rain or shine, you'll find the perfect gear at Under Armour, and if you're looking to save more on your purchase, check out the UA Outlet store to find discounts on top gear from past seasons. How To Save Money When You Shop At Under Armour? Saving money on athletic gear has never been easier than when you shop at Under Armour. First, sign up for emails to have exclusive sales, coupons, and free shipping offers sent right to your inbox. When browsing the site look on the homepage for current discounts or check out the outlet page to find deals on past season gear. When you get lucky enough to find an Under Armour promo code or Under Armour coupon at Groupon Coupons you can save even more! Sign in and look for coupons that give you Groupon Bucks when you use them. Use coupons on the merchant's site to make a purchase and get Groupon Bucks. We'll let you know when your Groupon Bucks are ready to be applied to your next Groupon deal.